Edwin Allen's sprinter Tia Clayton following her 11.63 clocking in the Girls' Class 3 100m at the Jamaica College (JC) Invitational meet on Saturday, January 5 at the newly constructed Ashenheim Stadium. 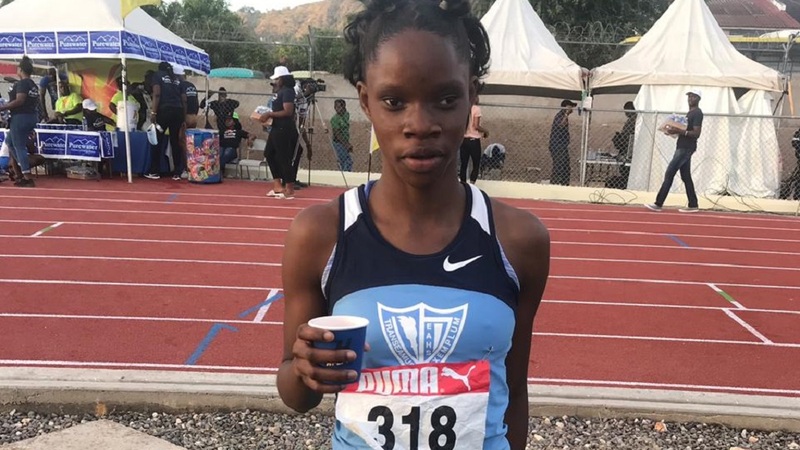 Edwin Allen High's sprinter Tia Clayton recorded the best performance on Saturday at the Purewater/R Danny Williams JC Invitational at the newly constructed Ashenheim Stadium, which has a new 400m, eight-lane synthetic track. The day officially signalled the start of the 2019 local track and field season. Clayton clocked an impressive 11.63 seconds in her heat to easily win the overall Girls’ Class 3 100m. Clayton, a first-year Class 3 sprinter last season, is the reigning champion at the Boys and Girls’ Athletics Championships. She won the gold medal in 11.56 seconds, beating teammate Serena Cole (11.70) and St Jago’s Brianna Lyston (11.71). 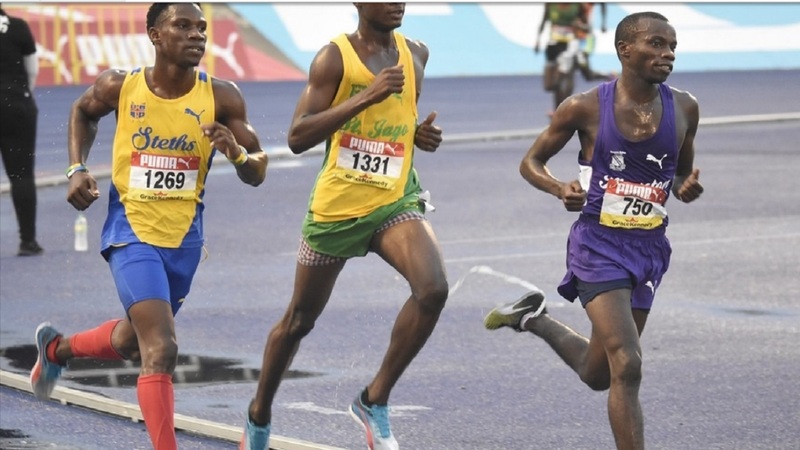 Calabar High’s Kimar Farquharson and Safin Williams of host school JC produced good victories. 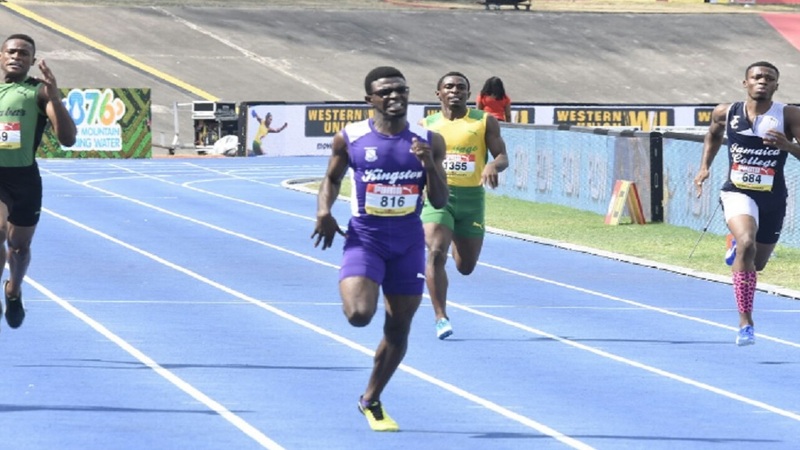 Farquharson outclassed the field to win his heat of the Boys’ Class 1 800m in 1:51.38. JC’s Dejaun Blackman produced the second fastest time of 1:52.17, followed by his teammates Cavvelle Beckles and Rushane Fullerton, who both clocked 1:55.60, and Fabian Campbell (1:56.06). Williams leapt 7.40m to easily win the Boys’ Class 1long jump from his teammates Michael Beecher (6.92m) and Alexander Thompson (6.88m). Earlier in the day, St Jago’s girls dominated the sprint hurdles with victories in three of the four classes. Quaycian Davis led home a 1-2 finish for St Jago in the Girls’ Class 3 80m hurdles. Davis won her heat in 11.91 seconds and Danae Nembhard recorded the second fastest time of 11.95. Crystal Morrison won the Girls’ Class 2 100m hurdles in 13.70 with Selieci Myles of Edwin Allen recording the second fastest time of 14.09. 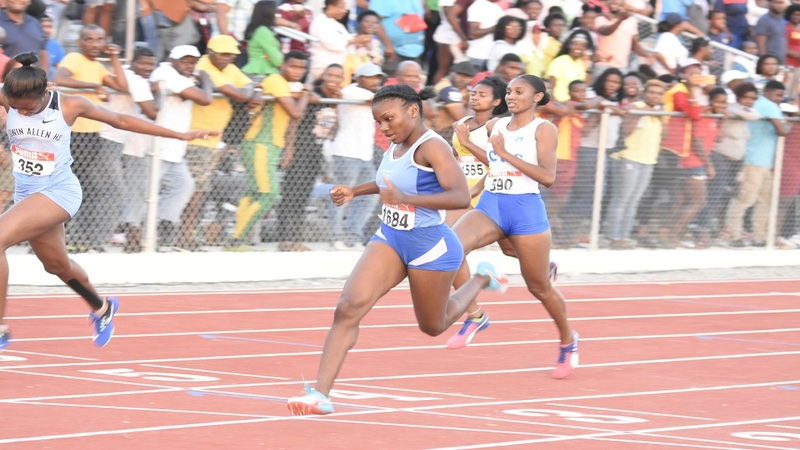 And Rosealee Cooper had to share the Girls’ Class 1 100m hurdles honours with Holmwood Technical’s Shanette Allison as both hurdlers won their heats in identical times of 14.32 seconds. Jerese Allwood of St Catherine High won the Girls’ Class 4 70m hurdles in 11.18 seconds. St Jago’s Jaeda Mitchell (11.27) clocked the second fastest time. In the boys’ sprint hurdles, St Jago dominated Class 2 over the 110m hurdles barriers with the two fastest times. Vashaun Vascianna recorded the fastest time of 13.61 and his teammate Jahvel Granville produced a 14.39 clocking for the next best time. 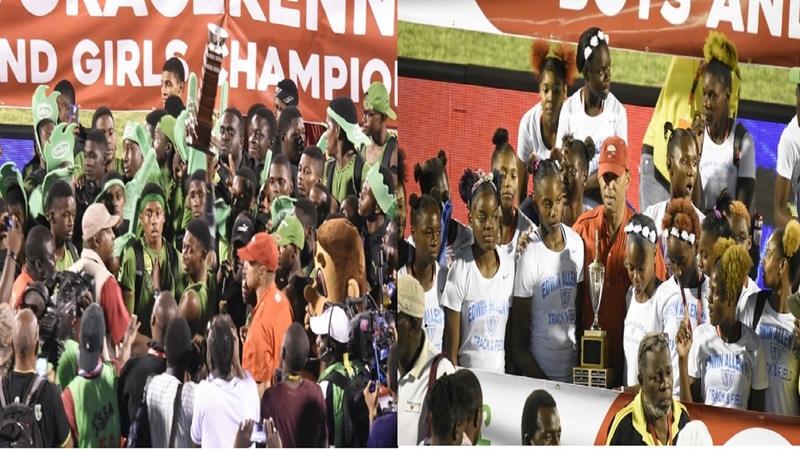 Malik Christian of Calabar High took the Boys’ Class 4 80m hurdles in 12.20; Clarendon College’s Sherdon McKnight won the Boys’ Class 3 100m hurdles in 14.48 and Michael Buchanan of St Elizabeth Technical High School easily took the Boys’ Class 1 110m hurdles in 14.56.